CityViews: Cuomo’s Clean Energy Agenda is Ambitious. But it’s Not Ambitious Enough. Gov. 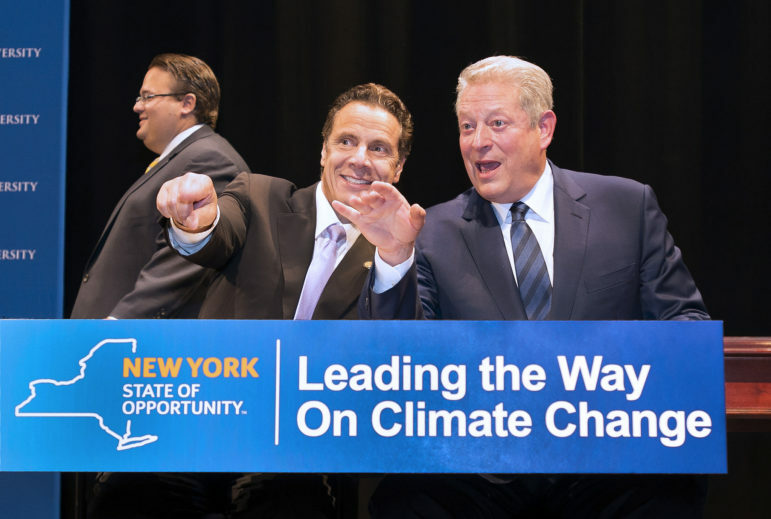 Cuomo and former Vice President Al Gore at a climate policy announcement in 2015. One of the key issues being debated at the State Capitol in Albany is New York’s climate agenda. Governor Cuomo wants to make New York the national leader on climate action, with a goal for 100 percent clean electricity by 2040. With the Democrats now in control of both houses, the bigger environmental and community groups hope to get the Climate and Community Protection Act (CCPA) enacted. The CCPA includes measures to require a just transition and environmental justice. It largely seeks to enact a 2009 Executive Order on climate, though it would see a goal of 100 percent reduction in emissions by 2050 rather than the existing 80 percent target. Grassroots groups who have led the fight against fracking and fossil fuel infrastructure want a more ambitious agenda, starting with a halt to any new fossil fuel projects and a goal of 100 percent clean energy by 2030 – for all energy sources. This group, the Green Education and Legal Fund (GELF), wants Cuomo to commit to a transition to 100 percent clean energy and zero carbon emissions as fast as scientifically possible. GELF has urged the Governor to release the study he ordered NYSERDA to do two years ago to figure out – based on science, not politics – how fast New York could achieve 100 percent renewable energy for electricity, buildings, transportation, and agriculture. This information would be invaluable in helping shaping the debate. Any climate goals need to backed up with clear plans, timelines, resources and evaluation. New York has a woeful track record over the last 15 years in meeting its climate goals (e.g., less than 5 percent of the state’s electricity presently comes from wind and solar). There is plenty of evidence that a 100 percent clean energy system is technologically feasible in a decade or so. The problems are primarily political will and resistance by the fossil fuel industry (with their campaign contributions). Any climate transition should include a strong commitment to a just transition and environmental and economic justice. A “just transition” means that workers and communities presently depending upon the fossil fuel industry must be held harmless. The reality, however, is that there are far more workers in the renewable energy sector. The call by Rep. Alexandria Ocasio-Cortez and the Sunrise movement for a Green New Deal by 2030 has also altered the political landscape on climate. Democratic candidates for President are rushing to declare support for a Green New Deal, which requires a fast timeline for a transition to clean renewable energy with a New Deal program of economic justice including the right to a job, universal health care, and affordable housing. Suddenly New York’s old goals of 80 percent reduction in greenhouse gas emissions by 2050 seem very outdated. During the effort to ban the fracking of natural gas in New York, a study was done by Stanford and Cornel professors to show that it would be possible for the state to meet 100 percent of its energy need (not just for electricity) by clean renewable energy by 2030. That study is the basis for the NY OFF Act which has about 30 legislative sponsors and 180 organizational endorsers. The NYS OFF Act was re-written last session to add additional provisions related to a just transition and environmental justice, and to provide more details as to how the state should develop and implement a comprehensive climate action plan. It also requires state agencies, county governments and local municipalities greater than 50,000 residents to develop their own proposals. The first 90 to 95 percent of the transition to 100 percent renewable energy is relatively straight forward. It is the last 5 to 10 percent that will be the most technologically and financially challenging. So the NYS OFF Act uses the concept of net zero carbon emissions as a target. This means that 5 to 10 percent of the goal would be met by putting carbon back into the soil, starting with regenerative agriculture. Local planning is critical to address the present major roadblock that it takes a decade or more to site large-scale solar and wind farms. Local residents need to be mobilized to help direct how to make this happen, being sensitive to local concerns, protection of farmlands and fisheries, and more. In Europe, municipally owned renewable projects have been the driving force in their energy transition. Such projects are viewed as a public good and therefor more readily receive public acceptance. In contrast, both the governor’s climate language in his budget and the CCPA largely seeks to put into statute the climate policies of Gov. Paterson’s 2009 climate executive order. The legislature needs to do a lot more than enact ten-year-old existing state policies. The CCPA downgrades the climate plan to a scoping document. And the CCPA authors’ efforts to provide a right for citizens to enforce the law and to require state agencies to comply with the state climate plan were removed or weakened by the Assembly leadership before it was introduced three years ago. The governor has proposed speeding up to 2040 his target for going to 100 percent clean electricity. We believe we can go faster. But we also need to set clear, fast targets for other energy sectors, especially buildings and transportation, each of which account for one-third of the state’s carbon footprints. Like the NY OFF Act, the CCPA – and now the governor – do incorporate important measures related to a just transition and environmental justice. The OFF Act is strongest in ensuring that existing workers in the fossil fuels are guaranteed employment and provides funds to assist communities dependent on property taxes from such facilities. The CCPA has strong worker standards in their bill for large renewable energy projects, provisions which the Governor has largely already implemented. The CCPA does provide that if a carbon tax is enacted, that 40 percent of the proceeds would go to disadvantaged communities. There is no requirement however that a carbon tax be enacted. Most carbon tax proposals require that most if not all of the revenues be rebated to low and moderate income individuals. One huge difference between the NY OFF Act and Cuomo and the CCPA is that the former expressly requires the state to halt the development of new fossil fuel infrastructure. Halting any more fossil fuels is essential to reduce emissions. It is a waste of money to build pipelines and plants that need to operate for 30 to 40 years in order to recover their investments. Climate groups also want the state to join New York City in agreeing to divest its pension funds from fossil fuels. The former speaker joined Max & Murphy to talk about NYCHA, the need for a woman’s voice at the citywide level, and what she thinks of the anti-gay comments of a Bronx Councilmember. 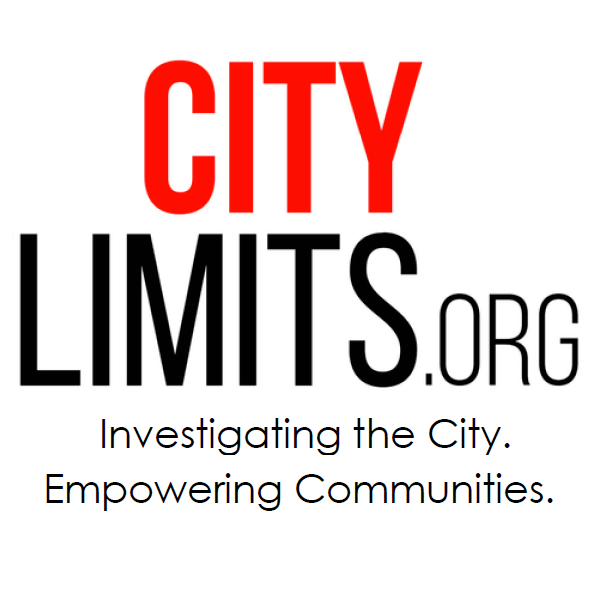 Sixteen people are running for a post with a staff smaller than an NFL team’s active roster, a budget less than one-fifteenth of one percent of the police department’s and a funky assortment of duties and powers. Does the race matter?